My primary AR, Adams Arms piston driven, Trijicon 1-4x scope, B5 Stock, Hexmags, Elzetta Charlie light, 45 backup irons and Gemtech Suppressor. Lots of folks have asked for my advice on choosing their first semi-auto defensive rifle. I believe that every responsible, patriotic American should have the tools and training to defend themselves and others. Here are my tips on choosing that defensive tool that some might foolishly label as an “assault weapon”. Purpose. As the title states, the usual purpose is as a defensive rifle, mostly home defense or in defense of liberty. Yet you might have a duel purpose in mind such as target shooting, 3 Gun competition, hog or varmint hunting. Each of these might sway your choice so the rifle will best fit both needs. 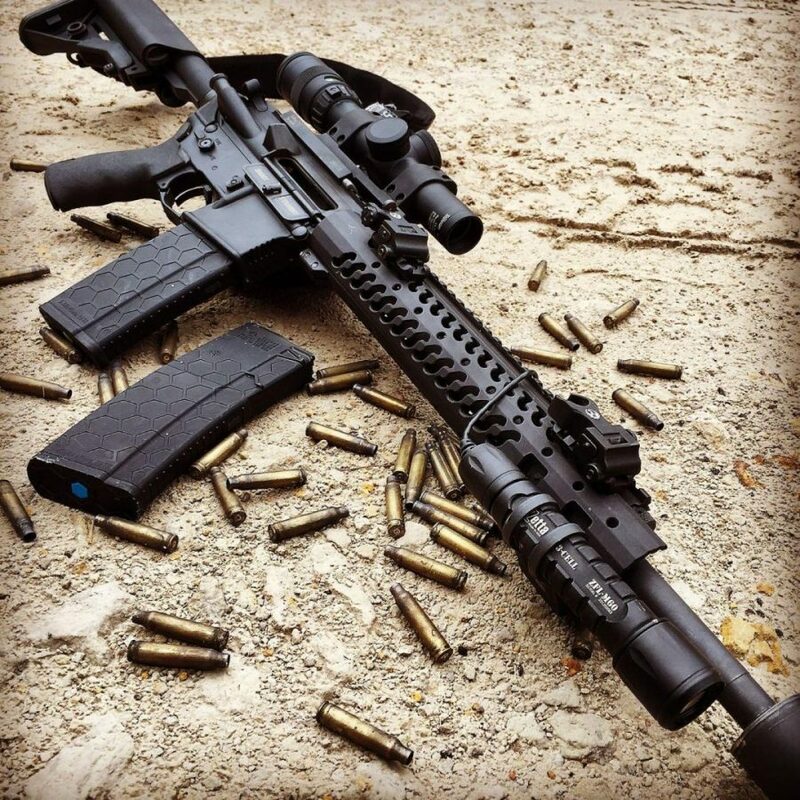 A Varmint AR15 will have a longer, heavier barrel and higher magnification scope, not the most ideal for home defense, but will work in a pinch. Platform. Caliber might need to come before this, but most folks already have a platform in mind, even if it’s just based on how a rifle looks. For most of us it will be an AR15, and that would be my suggestion due to their popularity and ease of customization. But there are hundreds of options out there such as the Ruger Mini-14, Springfield M1A, FAL, or even a lever action rifle. 9mm carbines like the Kel-Tec Sub2000, CZ Scorpion, Bertta Storm and AR type 9mms are becoming more popular and cost half as much to shoot per round. 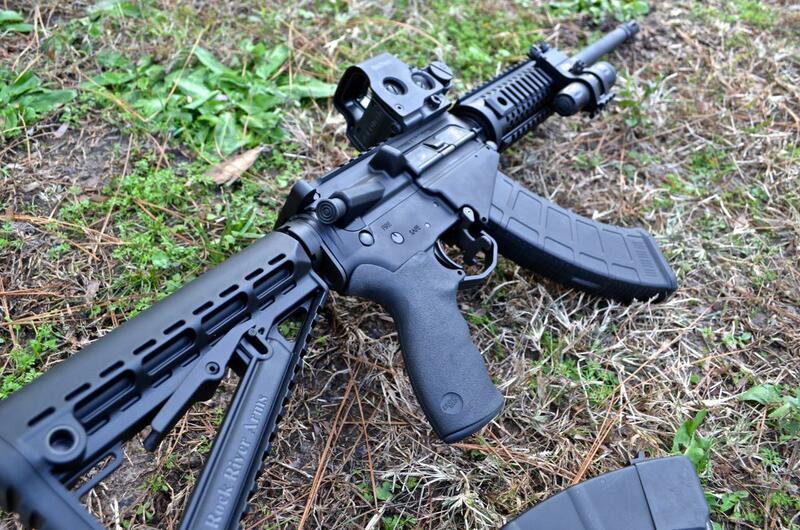 Some shooters might prefer an AK47 style rifle, but finding a quality AK might cost just as much as an AR15. 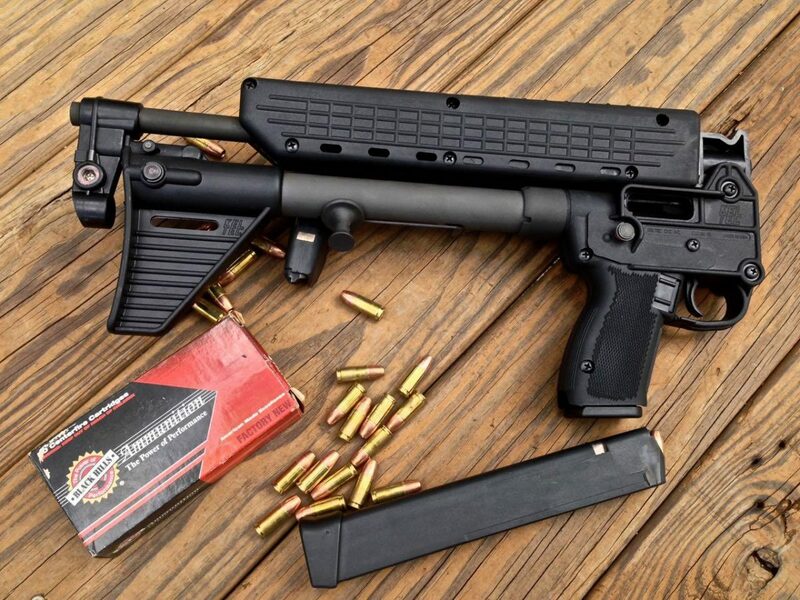 Keltec SUB2000 folding 9mm carbine that takes Glock mags. The KelTec SU16 takes AR15 magazines, I wouldn’t take it to battle, but it’s a great truck gun. Caliber. The most popular choice again is the .223/5.56mm. And as a rule of thumb, if your barrel is marked .223 only shoot .223 in it, if it’s marked 5.56mm you can shoot both 5.56mm and .223 in it. Brass cased remanufactured .223 ammo runs around +$0.30 per round and $0.22 for steel surplus. 7.62x39mm for the AK47/SKS platforms cartridge run around $0.23 per round for steel cased surplus, and you also have 5.45x39mm in the AK74 is $0.20 per round. However since the ATF banned import of the steel cored surplus it’s become less popular. And if you are considering a 9mm carbine it runs around $0.18 a round. A slight savings, but having a rifle and pistol with the same ammo and possibly even the same mags is adventageous. And finally, the heavy .308 will cost you about $0.50 a shot. I coined the term “Liberty Stash” in describing the ammunition that you should always have on hand no matter what the circumstances in case you need it. There is no magic number, and budgets vary, however I do recommend at least 1,000 rounds per rifle, this will run $300-400 a case. 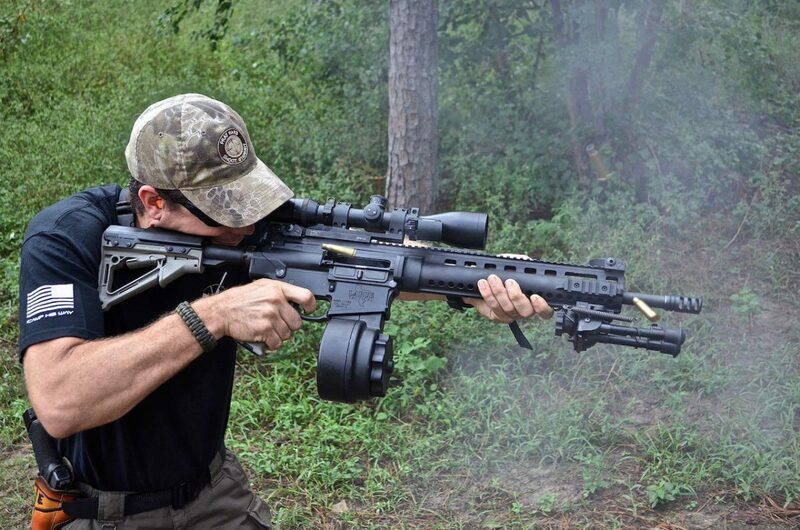 Remember, without ammunition your rifle is only an expensive club. My favorite site for ammunition shopping is ammoseek.com. Can’t decide between an AR or AK? the RRA LAR47 is a hybrid. Magazines. Also consider magazine availability and price. AR15 mags can be found as low as $10 each at times, but full capacity factory M1A mags will run $55 each. Make sure you consider this before making that final decision. I recommend having at least 6 quality magazines on hand. And as long as they have quality springs, I keep several magazines loaded as well. Attachments and Upgrades. 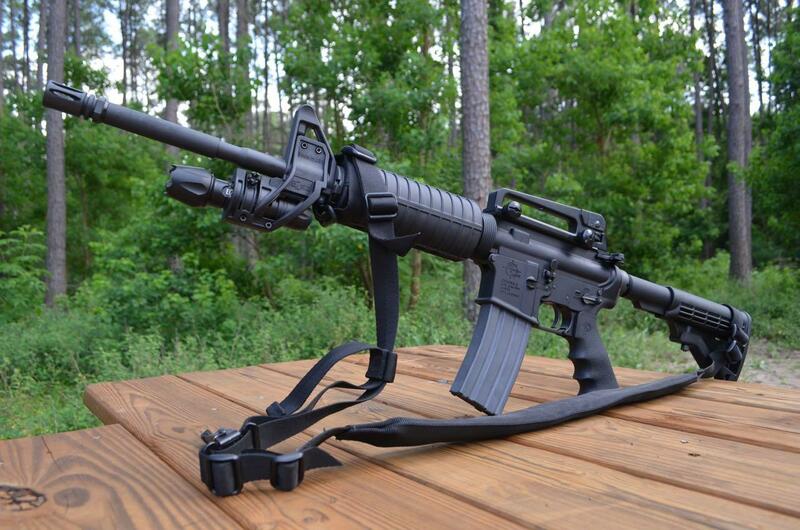 Without question, plan to mount a sling and light on your rifle. Anything else after this is either just preference or useless. I honestly don’t care for foregrips, bipods, cupholders and other add ons, but I do prefer bolt catch extensions like the Magpul BAD lever so I can both lock back and release my bolt using my trigger finger to manipulate the lever. As for slings I prefer an adjustable 2 point sling like the VTAC with QD studs so I can remove when hunting in a blind and cleaning the rifle. As for a light I have a Streamlight TLR-1 on one of my rifles and Elzettas on the rest. 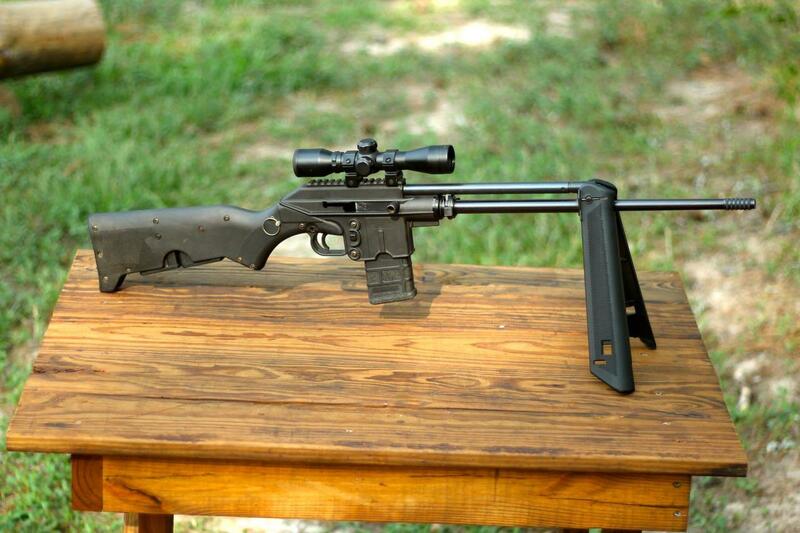 A simple Rock River Arms Defensive Rifle setup. Iron sights, 2 point sling and an Elzetta Light. I always recommend an upgraded trigger. Mil Spec triggers stink. While they are dependable they are very gritty, heavy, and course. I’m really enjoying my LaRue Tactical MBT lately. And if an entire trigger assembly intimidates you check out another Texas company, CMC Triggers, who make an easy drop in kit. 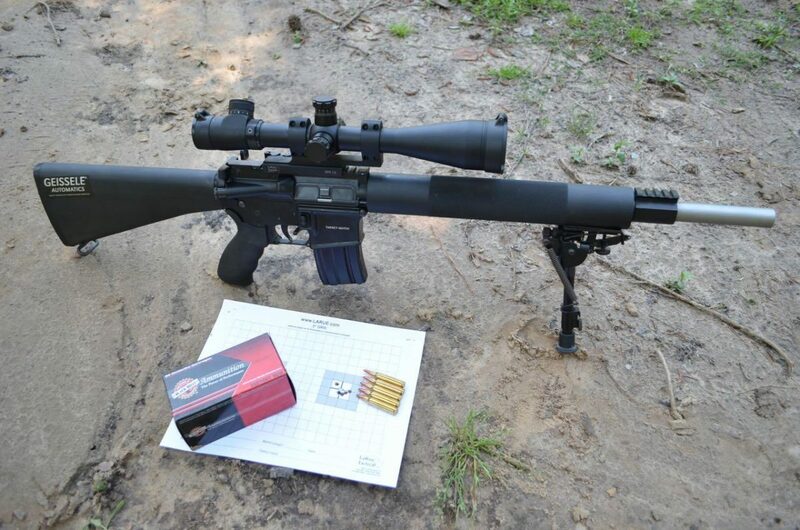 This OBR is one heavy rifle when completely outfitted, but it’s short enough with it’s 16″ barrel to do close quarters work and accurate enough to run out to 1,000 yards with its more powerful .308 round. Optics. Optics are the last upgrade I’d recommend but it still needs consideration before your purchase. For instance, it’s easy to mount any optic on an AR style rifle, however it will take more thought and planning to mount certain optics on an M1A, Mini 14, or AK style rifle due to the position of the action and lack of rails. My favorite sight mounted on my primary defensive rifle is the Aimpoint H1, and I’m looking forward to testing the T2 soon. I won’t sit here and try to sell you on any particular rifle, in the end it all boils down to preference. Your preferred rifle might be just because the rifle performed awesome in a video game you played. But the rifle is just a tool. Make sure you train with it to be able to use it safely and properly. Even though I’ve won a few shooting competitions I still plan to take a defensive rifle course this fall to better myself and pass new knowledge onto others who I teach as well.